Submitted by via Google News on Tue, 26/03/2019 - 10:05. Published by Emma Carton at 7:47am 25th March 2019. Police say a driver, caught in a crash near Hayle, was twice over the drink-drive limit. 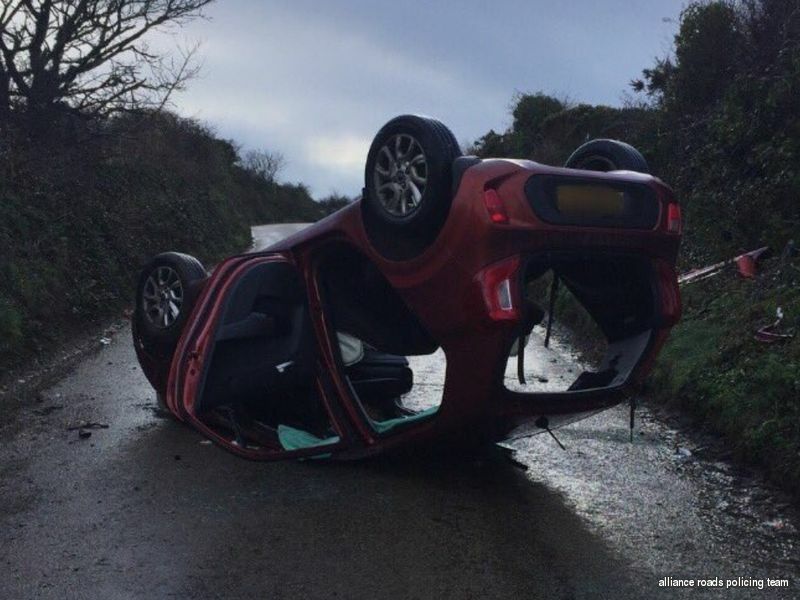 A car ended up on its roof at Wheal Alfred Road back in February. The Alliance Roads Policing Team tweeted a photo from the scene as a warning to other drivers. "This was Wheal Alfred Road, Hayle on the 2nd of February. Thankfully no injuries. "Blood results are back. The driver is twice the drink drive limit".